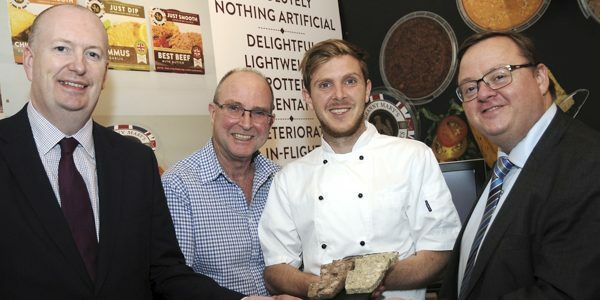 A Derbyshire food specialist which produces a range of mouth-watering pates and terrines is aiming to treble its capacity after securing a £25,000 investment from NPIF – BEF & FFE Microfinance, part of the Northern Powerhouse Investment Fund (NPIF), in order to fulfil its growing order book. Father and son team Alistair and Will Sutherland founded Original Recipes in 2012, drawing upon secret formulas first produced by Alistair’s grandmother in the 1920’s, transforming the Sutherland name into a household brand with its range of spreads and pates enjoyed by millions of people each week. Over the past five years, Alistair and Will decided to call upon their long family association with the foodservice industry, pioneering a new range of tasty terrines aimed specifically at the professional catering sector. “Since launching the business in 2012, we explored a number of different routes to market, and realised that whilst pates and terrines are always a popular choice whenever they appear on the menu, they can be complicated and costly for professional chefs to produce. Terrines take specialist knowledge and lots of time to perfect, which can often be incompatible with the demands of catering for large events. ” The Sheffield City Region is home to an abundance of ambitious SMEs that are looking to expand and access new markets. It’s good to see that NPIF’s fund managers are seeking out these fascinating businesses that are looking to grow”.